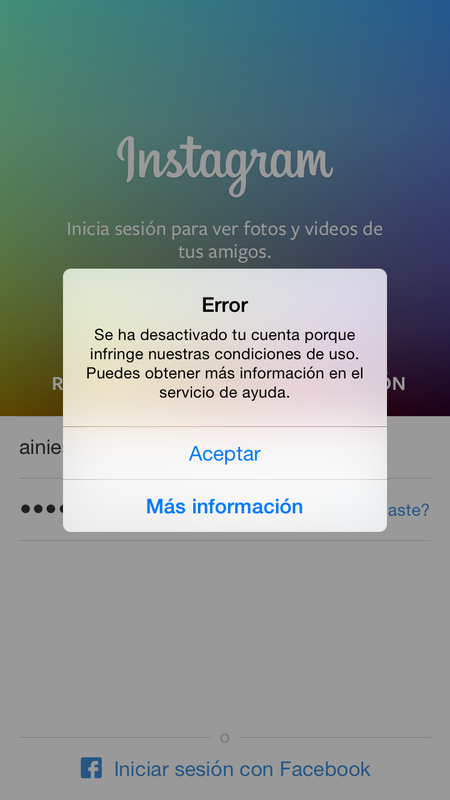 How Instagram closed my account and gave it to a football celebrity. My name is Andrés Iniesta and my only mistake was having the exact name and last name as a famous football player. I am a father who likes to take pictures of his kids, yummy food and interesting buildings in Madrid. I usually share them on Instagram with friends and family. All this happened while I was away on holidays, so I didn’t give it too much attention and enjoyed my days off. But once I noticed that time was passing by and still hadn’t received any response from Instagram, I began to worry. A friend and follower suggested that maybe my account was being hacked in order to steal my username @ainiesta. But I thought to myself: “Who would do that?”. A couple days later, other followers reported that suddenly Andrés Iniesta the football player appeared on their “following” list. And they don’t even like football!. Seeing that things were getting weirder, I tried to contact Instagram again, this time through their Facebook contact form. Today, as I’m returning home from holidays, all my friends called me saying that they were seeing updates on their timelines from the other Andrés Iniesta, not mine. It’s clear that my account has been “stolen”, but I don’t imagine Iniesta the player being behind this himself. Probably this has to do with his PR or Community Management agency . And worst of all, Instagram has definitely contributed to this situation. I consider that my rights (we still have some on the internet) have been violated somehow. I haven’t done anything wrong and have lost not only my pictures, but being able to share important moments with my friends and family. What pains me is that all of this has happened without any explanation, not even a twitter response from Instagram. I’m not a celebrity, and I don’t want to be one. I just don’t like things being taken away from me. Thanks for reading. I’d appreciate if you could share this, maybe it reaches Instagram and they decide to fix this mess. 5 hours after writing this article, my account has been restored, but still no news from Instagram about what happened or an apology. The player agency has contacted me and promised me that they had nothing to do with this problem. Make it clear that I have NEVER blamed the player. I want to sincerely apologize for the trouble we caused you by deactivating your Instagram account by mistake. It was an error on our part, pure and simple. We inadvertently identified your account as an impersonator — even though it obviously is not. As soon as we were made aware of the mistake we reactivated your account. We’re working to put in place new internal processes so that this doesn’t happen again. I also want to make clear that neither the soccer player Andrés Iniesta, nor his representatives, had anything to do with this incident. I know you also made multiple attempts to reach Instagram to get an explanation, without success. Nothing is more important to us than our community, and there’s no excuse for our failure to be responsive in what I know was a very frustrating experience. For that we also apologize. I think the big problem was not getting any feedback from Instagram. Three days without any kind of communication it´s too much time. Besides, seeing all my followers went to the account of the football player … it was all very strange. I can imagine that it was very frustrating trying to reach us, and we’re taking a look internally at what happened so we can make sure it doesn’t get repeated. Ok, I like to consider myself a good person, so I accepted the apology of instagram. And I would like to apologize to Andrés Iniesta and MBD (the PR agency) about the confusion. I think if Instagram had responded in time all this could have been avoided.